Do flight attendants ever get the chance to hang Christmas stockings on Christmas Eve? One year I was working a trip that flew Christmas Eve and Christmas Day. I had short overnight layover in Orlando. 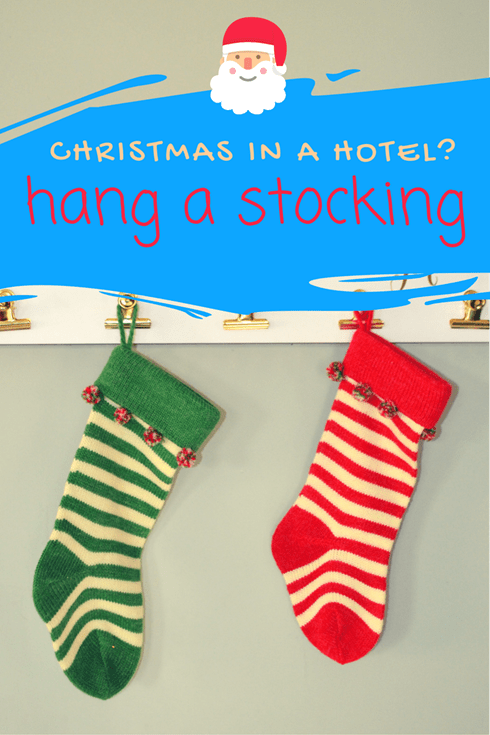 I decided last minute to hang a “stocking” on my hotel door. Since I didn’t think of Christmas stockings ahead of time, I hadn’t brought a stocking with me; all I had was a white sports sock. I stuck it on the doorknob along with a note, saying, “Santa, please bring me Christmas treats.” I put a Christmas tree pin on it too. Before going to bed, I couldn’t help but peek. The sock was gone! I was upset, wondering why someone would steal my sock, on Christmas Eve no less! I just hoped that someone had actually taken it to fill it instead. The next morning I got out of bed and rushed to the door. I was more excited then I’ve been since I was a kid, because guess what? Santa came!!!! Not only was my sock back in its place (well, on the floor, because it was heavy with all the treats inside), but there was also a small bag filled with treats! It was amazing! There were so many treats stuffed inside: Emergen-C packet, travel toothpaste and toothbrush, single packets of Motrin, Cookies, Candy,…so many fun things! Will you be in a hotel on Christmas Eve? Try it! Now, I can’t promise that Santa will know you are there and hanging Christmas stockings. Try hanging it early in the evening so Santa will see it there. A friend of mine tried this last year, but she didn’t get to the hotel until about 11pm, so Santa didn’t have enough time to catch on. If you’re doing this with kids, I highly recommend having a back up available, just in case Santa is otherwise occupied. 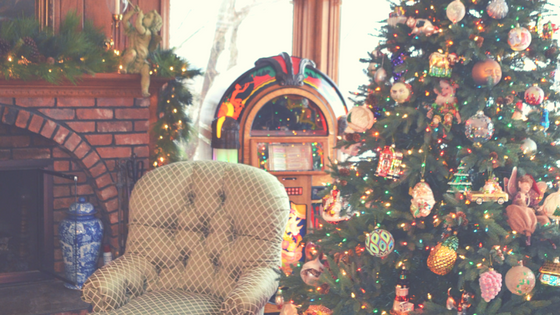 Have you ever traveled on Christmas Eve or been in a hotel? What things did you do to make it festive? I (Beth Henry, Flight Attendant Mom), publish a post every Tuesday with family travel tips. Be sure to sign up for email notifications (side bar) or follow us on Facebook, Twitter, and Instagram so you don’t miss a post! If you have any travel questions, let me know! I love to help!